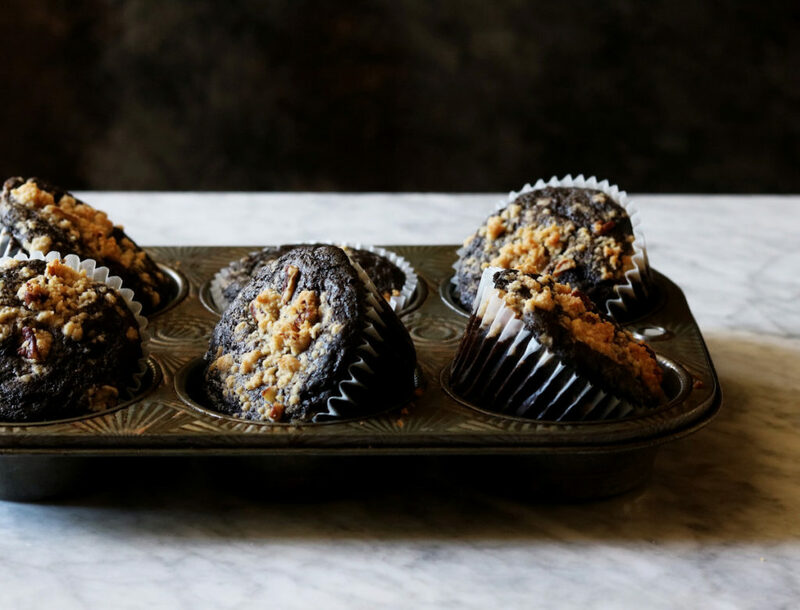 We’re making a seasonal muffin loaded with lots of good-for-your stuff. How on-trend are we? Zucchini is everywhere. At the markets, growing in our gardens, our neighbors are pawning it off on us… And if you’re growing it, you’re probably sick of it already. It’s prolific to the point of being obnoxious. I had some rogue yellow squash come up this year…about five plants. And I thought, oh this’ll be fun…for about a minute. A half dozen squash a day is just too much. OK, that’s a wee exaggeration, but it feels like it. There’s only so much you can do with yellow squash until you’re sick of yellow squash. I wanted something equal parts healthy and decadent with this muffin so we could be pious and satisfied. Chocolate zucchini muffins. We start with three full cups of zucchini…use a bit of olive oil for fat…yogurt for moisture…and loads of dark chocolate…because it’s good for us. 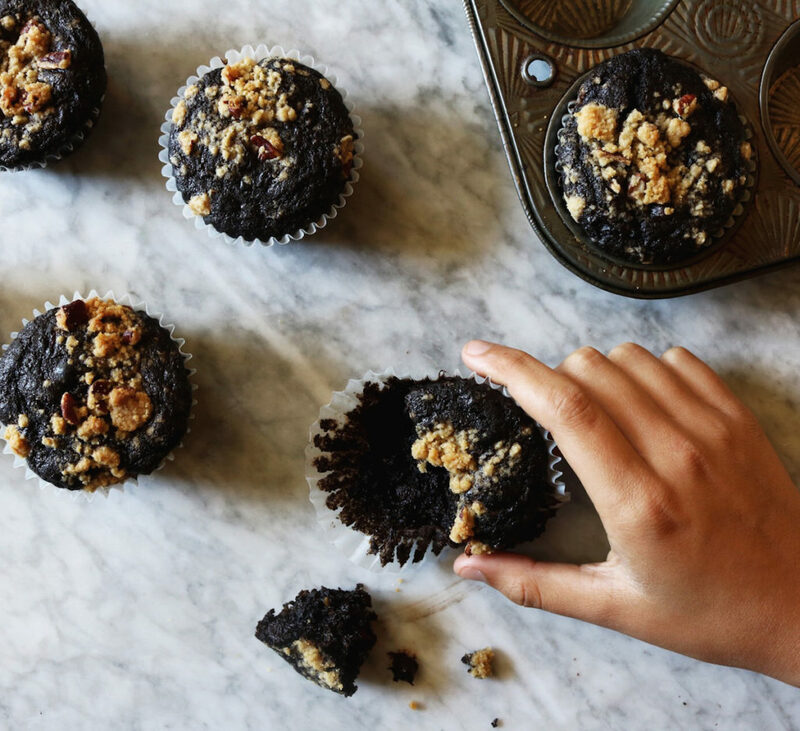 We should be sainted for this muffin because you’ll have zero idea it’s good for you. Your hair will grow fuller, nails longer and you’ll lose ten pounds. Jkjkjk. But I’ve been kinda feeling like everything promises that these days so I wanted to throw it in. Teff Flour. Don’t have it, don’t want to buy it and/or don’t want to use it? That’s fine. We can reach for some white whole-wheat flour in a pinch. You do you. Cocoa Powder. I like the dark stuff, which is why these muffins are so deep and luscious. 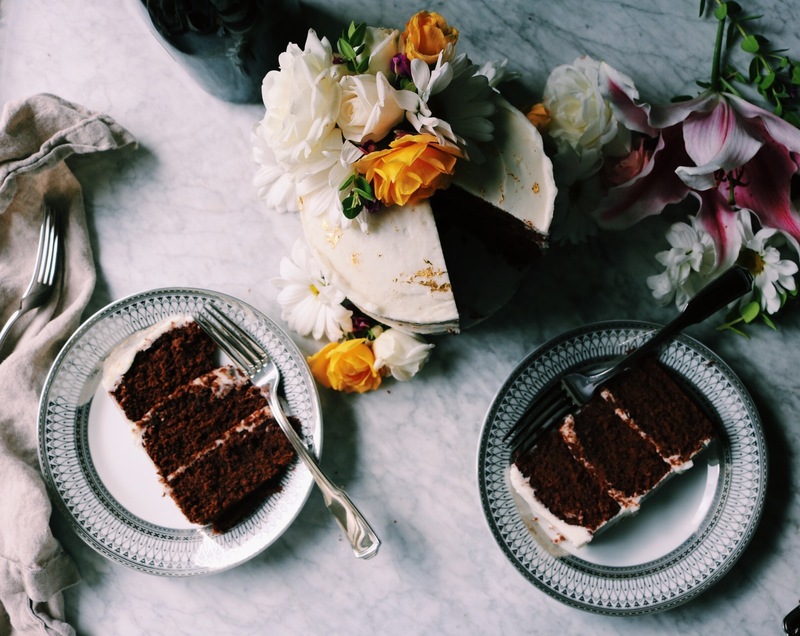 Your standard, run-of-the-mill unsweetened cocoa powder will work just fine if you can’t be bothered. Yellow Squash. You can sub this in for the zucchini if you find yourself in a similar predicament as myself. Just be sure to discard any large seeds and if the outer skin is a touch thick, consider giving it a quick peel. 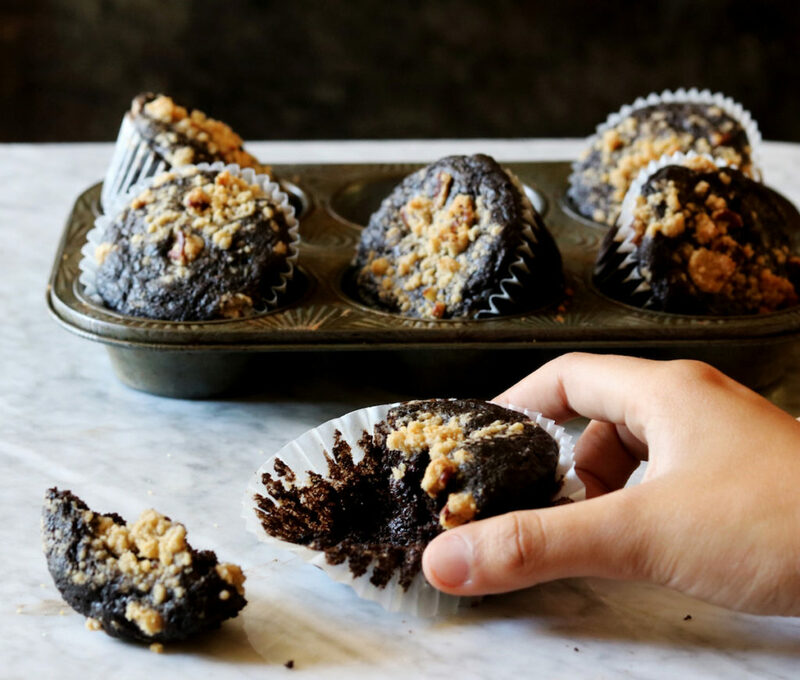 Let’s bake some chocolate zucchini muffins, shall we? Preheat oven to 375 degrees F. Line a muffin tin with liners. In a small bowl, whisk together the flour, brown sugar and sea salt. Using a pastry blender or two forks work the butter into the mixture until it has the consistency of wet sand. Mix in the pecans and set aside. Place the zucchini on several layers of paper towels + cover with several paper towels and press away excess moisture. In a large bowl, whisk together the eggs, brown sugar, granulated sugar, yogurt, olive oil, milk and vanilla extract. In a medium bowl whisk together the all-purpose flour, teff flour, cocoa powder, baking powder, baking soda and sea salt. Add to the egg mixture and blend until just barely combined. Fold in the shredded zucchini + chocolate chunks. 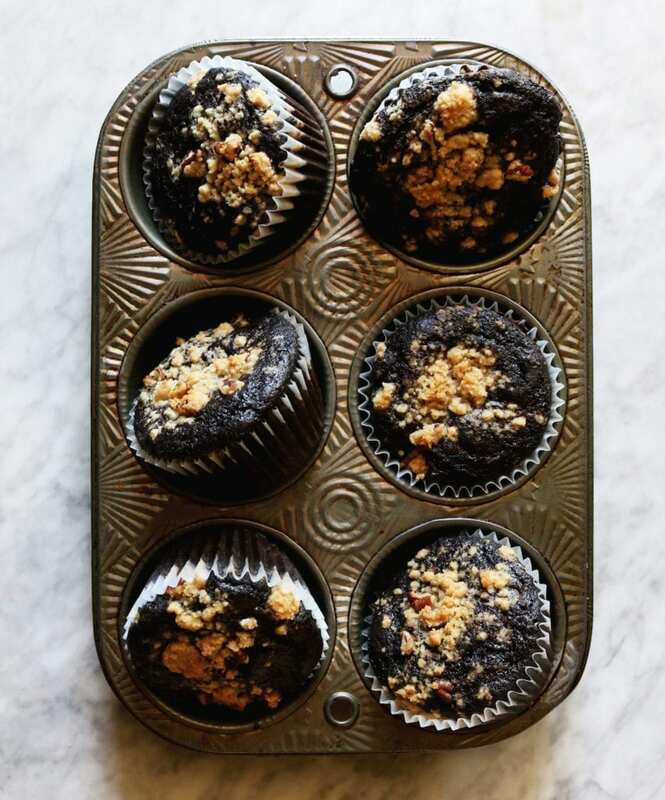 Fill each muffin cup 3/4s full + top with 1 tablespoon of crumble (you will have leftover crumble; it freezers great!). Bake in the center of the oven for 25 minutes. Let cool for 5-10 minutes before turning out of the tin. 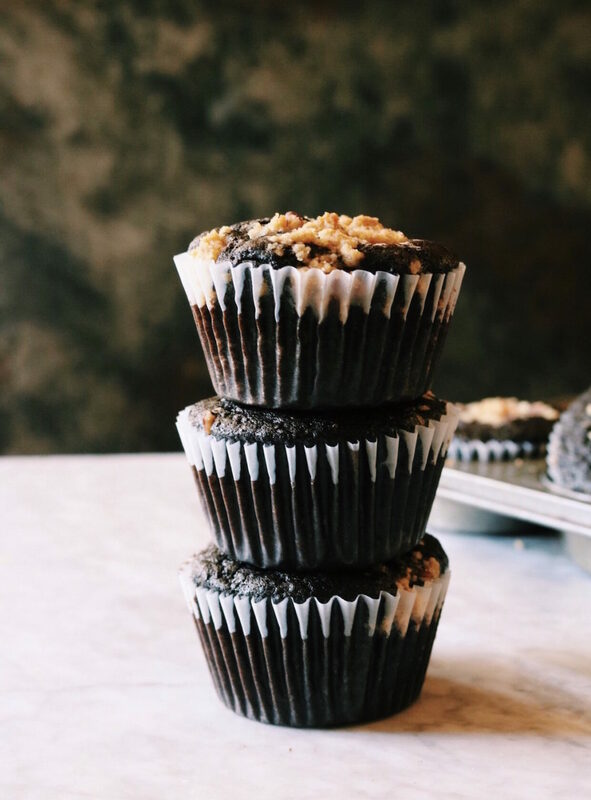 Thank you for making these yummy chocolate zucchini muffins! 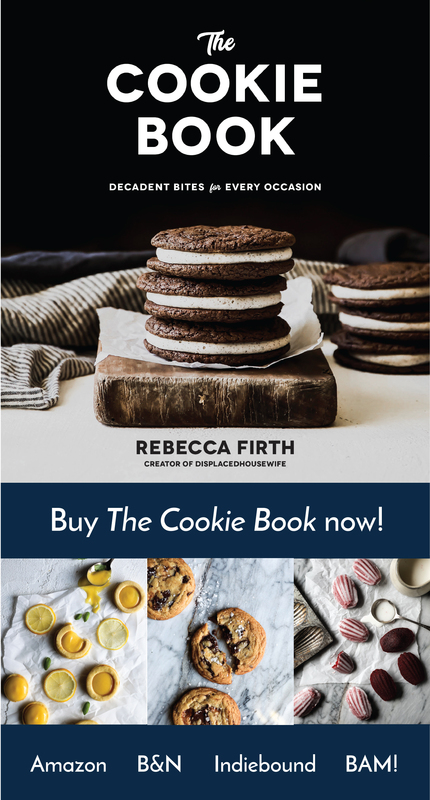 Tag me on social @displacedhousewife #displacedhousewife so I can see your beautiful chocolate zucchini muffins and we can be pious together!!! I have an abundance of green beans from my garden as well (not nearly as offensive as the yellow squash) and I’ve been dying to make a chilled green bean salad. Any suggestions? I’m gonna keep it short and sweet today. The kids are on the other side of the world. I had a dear friend come and stay for four days and we laughed and cooked and wine tasted and drank beer in the middle of the day. It was fun. And now I’m all business. I have a bunch of projects I want to finish before the wee ones get back. So I’m off. Drop me a note if you have something you’d like to see me make!! OK, I really gotta go. Trying to watch The Notebook for the millionth time requires some focus. Wishing you the best day possible. Sending lots of love + light. What is the calorie count on this ? Looks so yummy ! I’m definitely going to make those! 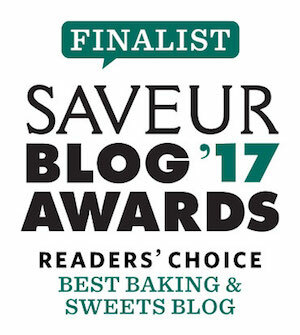 Whelp, I can see why you were a Saveur food blog finalist! This recipe looks down right delicious! Can I use just regular AP flour? Is there any substitution ratio I need to follow? These look delicious! Just made these. I used the whole wheat flour instead of teff (as you suggested) and they turned out great! Zucchini + chocolate is the perfect combination! 1) these look and sound delicious! i’m excited to try them. Perfect for the loads of zucchini everyone seems to have this time of year Rebecca! Don’t I wish these would help me lose 10 pounds! I’d be making them on repeat! Can’t wait to try the recipe. Sounds like you’re enjoying some fun while the kiddos are away. Bet they’re having fun too! Happy Sunday!